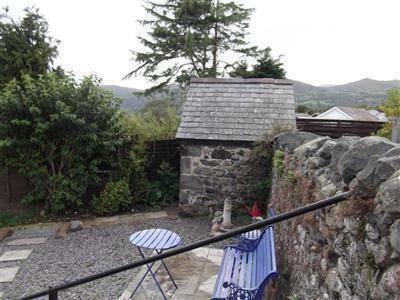 Centrally heated Victorian cottage Brongain is situated in the Conwy valley in the village of Tyn-y-Groes. It is in an area of considerable landscape interest with views from front and rear over the mountains. The historic town of Conwy is nearby, with its famous castle. 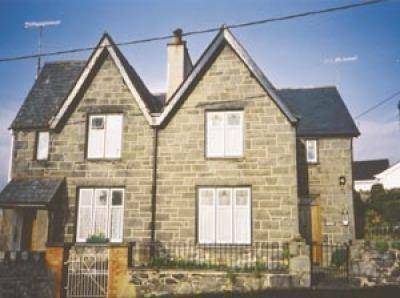 The cottage is in easy reach of Victorian Llandudno, Betws-y-coed and the Snowdon mountain range. Day trips to Chester and Anglesey with its beautiful beaches and historic towns are also to be enjoyed. The cottage is built of a traditional stone from a local quarry and dates from late Victorian times. 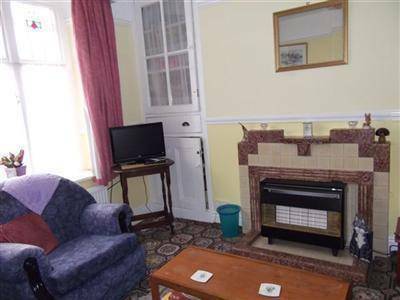 It has been refurbished with fitted carpets and comfortably furnished. There is an enclosed rear garden with elevations to the rear, with paving and gravel. A small stone store can be used for housing boots and outside gear. An ideal touring base for mountains, walking, birdwatching and beaches. RSPB nature reserve and Bodnant Gardens close by. Good local food and pubs. Only weekly bookings accepted for Christmas & New Year, can be flexible with the start date please call owner regarding this.